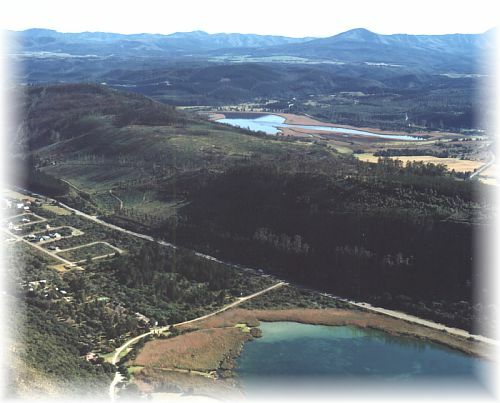 Leaving Knysna on the N2 in a Westerly direction towards George and the Outeniquas, one passes through the picturesque Goukamma Valley, entrance to Buffalo Bay, and, just over the rise, 20km out of Knysna, lies Lake Pleasant. 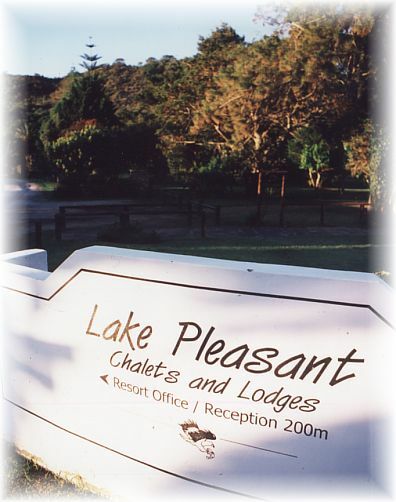 A peaceful well-shaded Resort, 40km from George and only a 20km drive to The Wilderness. 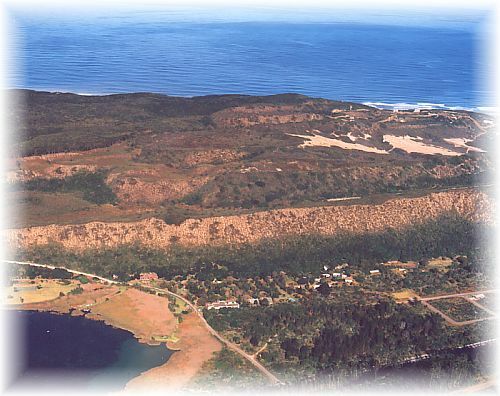 The Resort is situated in a natural Bird Sanctuary on the shores of tranquil Lake Pleasant (Groenvlei), the only freshwater lake on the Garden Route and, being outside the Winter Rainfall area, enjoys the most temperate all year round climate imaginable. Hear the cry of the Fish Eagle, or spot a Kingfisher or Loerie, maybe even a Paradise Flycatcher and a Black-headed Oriole - it's a Bird-watcher's paradise. 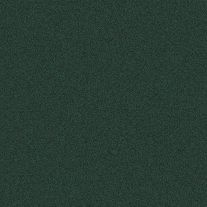 Between Mountains and Indian Ocean, at the start of the glittering chain of lakes, lagoons and river mouths, a garden of perennial green. 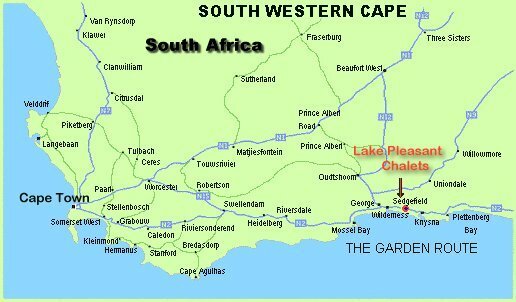 Its natural attractions and scenic beauty of jagged mountain peaks, soft undulating plains, deep ravines and luxuriant indigenous forests, go hand in hand with long white beaches to complete the picture of this stunningly beautiful Lake District of the Garden Route. The area enjoys a mild Mediterranean climate without the discomfort of torrid summers or icy winters; winter days are usually mild and warm and often enhanced by snow-capped mountain peaks. There is no rainy season and rain can occur throughout the year, mostly at night. Generally there is very little wind and the Resort itself is quite protected.